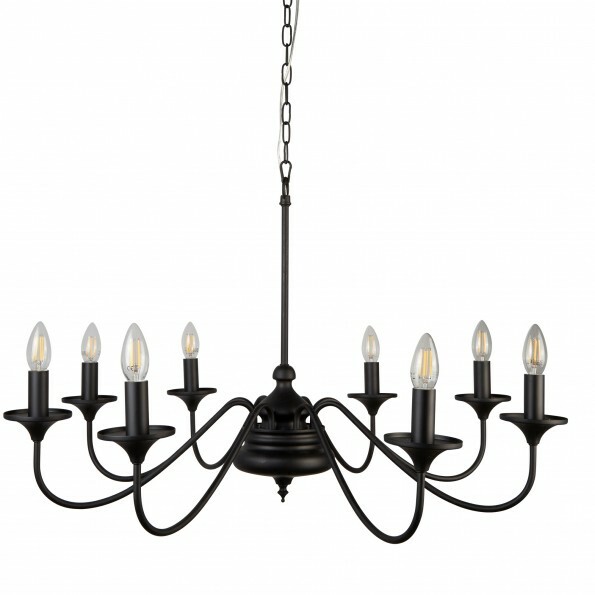 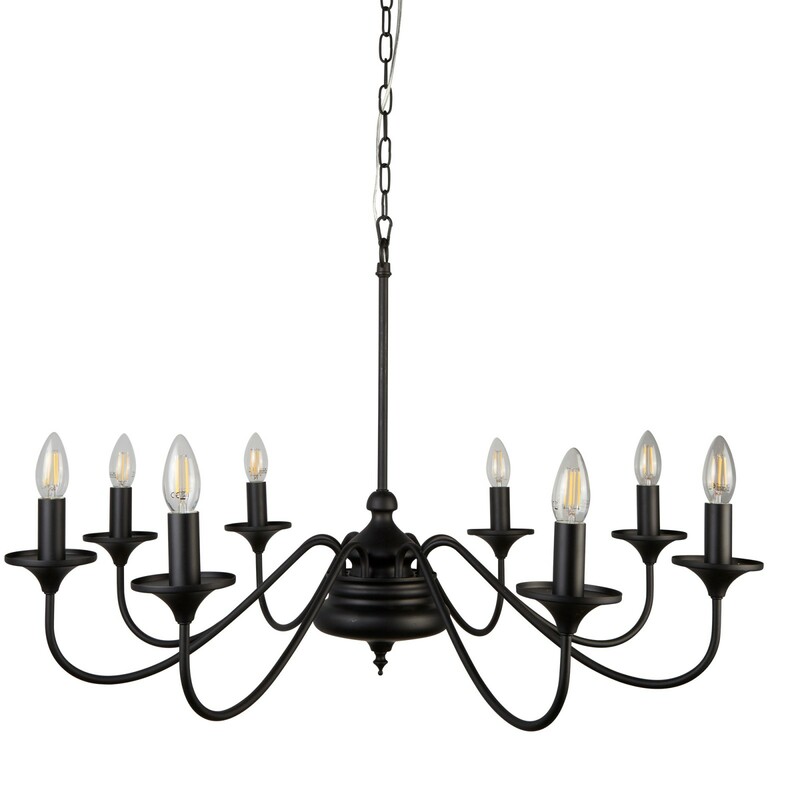 Create drama with this 8 light gothic style large ceiling light. 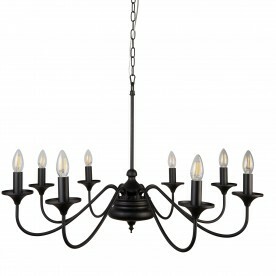 Available in matt black, it will act as a centre piece when contrasted against light coloured walls. 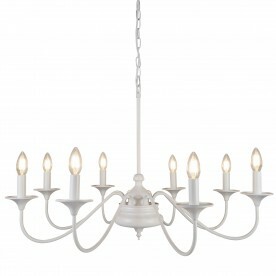 For maximum impact attach to the high rise ceiling of your living room.